How Bad Are My Scars? Unfortunately, I don't know a single thing about treating scars. I would say you have at least moderate scarring, though. It appears to me more like the last stages of the inflammatory pimple or irritation of the follicle. How long have you had these marks? The inflamed pimpes maybe a month or two the marks over 3 months maybe more. I've started eating healthy and drinking kale shakes. I also just ordered paulas choice 3 step kit what else can I do to fade the marks? Any special creams? What causes irritation of the follicle? Also do I have enlarged pores? If the marks last for more than 6 months, then the pimple is still "active" and by reducing the pimples the redness will go, too. The kit you ordered should be fine; just give it time. The only 'special' cream you could add at this point is CeraVe Facial Moisturizing Lotion PM to treat dryness from the BP in the kit and help you shaving. One of the most common causes of irritation in the follicles are ingrown hairs. Ingrown hairs fold into the follicle which can cause irritation, pain, and sometimes cause an acne-like pustule. You have a lot of thick hair and I can see a few hairs stuck inside of the "pimples" and "open pores". 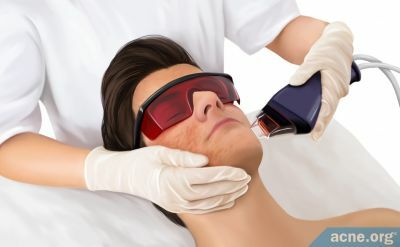 It looks like your hair is the main problem; you need to shave properly and you may want to look into professional hair removal if these marks are persistent. Apply some aloe vera gel on the scars also make sure to exfoliate often. so they will diminish in appearance. They are not bad at all. Just make sure not to pick at your pimples at all. Thank you for all the useful information you shared. I actually ordered this moisturizer should I also get the cerave? Yes my hair is very thick, I use an electric shaver on my cheeks do you think thats a good idea? I always try to avoid pimples..Should I pluck the hair coming out of my pimples or no? 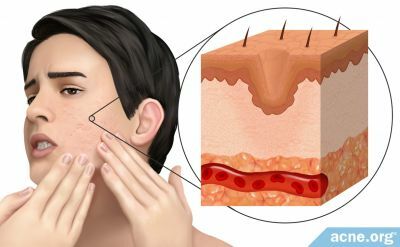 Also what should I do about my "open pores". Sorry about all the questions I have no sisters and zero knowledge about skin care. Should I just wash place a warm towel on my face for a couple of minutes, wash my face, and splash cold water on my face to close them? Thanks I've tracked down some aloe vera plants for sale I will go buy some tomorrow and apply fresh aloe vera to my scars. Whats a good product that exfoliates? I don't think Wal-Mart has it, but CVS and Walgreens should. Try St. Ives Apricot scrub. I use it and it helps a lot. The CeraVe lotion is perhaps one of the best formulations on the market. It's great for dry skin because of glycerin and the ceramides in it, and it has niacinamide (Vitamin B3) which also helps dry skin and can help shaving by improving skin barrier function while minimizing irritation. You could pick a 5-bladed razor with lubrication for less "skipping" and lightly drag across your skin against how the hair lays. Just wash your face like you normally would; the temperature of the water really doesn't matter for open pores. Sure, you may feel tighter skin for a bit, but that's temporary. But please, whatever you do, don't use pore strips because over time it can permanently stretch out the pores. I don't agree with using aloe vera gel for a few reasons. One, the supposed anti-inflammatory properties of aloe vera has largely been inconsistent in trials (see http://www.ncbi.nlm....pubmed/22336851 and http://www.mskcc.org.../herb/aloe-vera for details) and the evidence that does exist hasn't been of high quality. Two, the beneficial polysaccharides in aloe vera vary from plant to plant because of growing and storage conditions so that doesn't guarantee effectiveness. Three, it isn't guaranteed that the beneficial ingredients can penetrate the skin as there aren't any chemical "carriers" (that we know of) in the plant itself. Essentially using aloe vera is a gamble. It is, however, safe when used topically. But yes I agree that you shouldn't really pick at your skin! Thank you I will order some right now. What cleansers, toners and scrubs do you recommend? your scars can definitely reach 100% improvement. if you're willing to take the medical route, go find a dermatologist who will prescribe some retin-a for your pigmentation. it does look like some of those "scars" are actually active acne though.